YES. 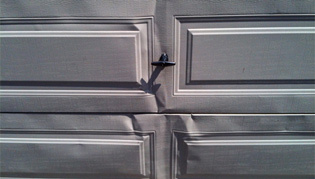 Following an accident, if one section of your garage door was damaged, you can change just that one broken section. To speed up the repair service, have the serial number of your door in hand when you contact us. To help you make an enlightened choice when purchasing your new garage door, contact us! What’s more, we can provide you with a free quotation. Garaga dealers are excellent technicians for the sales, installation, and repair of all types of garage doors. They know garage doors like no one else. Contact us today to schedule whatever type of service call you may need. We also carry the whole line of LiftMaster electric garage door openers and their accessories to meet all your everyday needs.